The Lebanon National Boxing Championships was held in the city of Beyrouth where the local press media and TV covered the event. Lebanon’s experienced elite boxers such as Hasan Tahan, Ahmad Hamido, Ahmad Ali Othman and Wissam Aantar won their weight classes in the Division One level of the National Championships. Lebanon attended in the recent ASBC events including the Bangkok 2018 ASBC Asian Confederation Youth Boxing Championships. Lebanon has got strong strategic plans for the future and the country is planning to attend in the upcoming events with bigger delegations in the main competitions in 2019. The Division One level of the National Championships was a three-day long competition with the participation of 9 clubs in seven different weight classes. The first gold medal of the Division A level was achieved by Ammar El-Aaloul who defeated Khodor Saad in the final of the lightweight (60kg). Hasan Tahan is one of the most experienced boxers in the elite level who arrived to the event as multiple titleholders to the National Championships. Tahan defeated all of his rivals at the light welterweight (64kg) including talented Rawad Khoury in the final. He is now ready to compete in the top level of the international tournaments in 2019. The welterweight (69kg) delivered strong battles in the National Championships which was won by Ahmad Hamido following his success over Ali Aantar. Ahmad Ali Othman achieved gold medal already in the 2015 and in the 2016 editions of the Lebanon National Championships and he defended his throne beating Carl El-Deek in the final. The gold medal of the light heavyweight (81kg) was achieved by Kassem Mokdad which was his first national success. The heavyweight (91kg) saw a top battle between Aala El-Dinawi and Mohammad Ossaaili in Beyrouth. Lebanon has got strong traditions at the super heavyweight (+91kg) and their new hope in this division could be Wissam Aantar who won the National Championships. 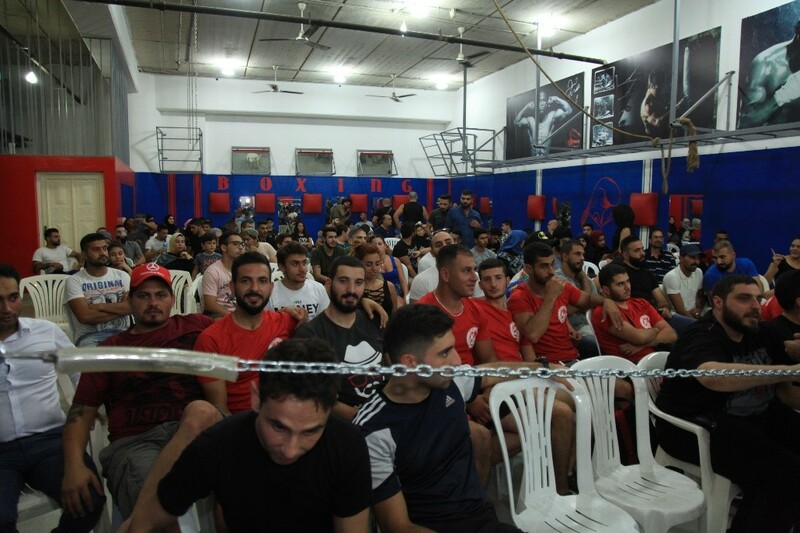 Due the unexpected high number of participants the Division Two level of the National Championships was held in four competition days in Beyrouth. Altogether 15 clubs attended in the Division Two National Championships from each region of the country and Omar El-Najjar (60kg), Alendo Al-Osta (69kg), Hussein Hmadeh (75kg), Steven Majdalani (81kg) and Karim El-Asaad (91kg) were the bests in the event. Following the National Championships Lebanon Boxing Federation organized a ceremony for the winners of the Division One and Division Two levels. ASBC has huge respect to Mr. Eng. Mahmoud Khattab the President of the Lebanon Boxing Federation who supported also financially the national event. The General Secretary of the Lebanon Boxing Federation Ms. Jana Baghdadi managed the event where their experienced boxing official Honorary President Mr. Mohammad Khalili worked as Supervisor at the National Championships.